Ekran+ wspierany przez Program Unii Europejskiej Kreatywna Europa Komponentu MEDIA,jest wspólnym projektem Wajda Studio and Szkoły Wajdy,, Focal (Szwajcaria), Austriackiego Instytutu Filmowego, Chorwackiego Funduszu Audiowizualnego, Litewskiego Centrum Filmowego ze wsparciem Fundacji Agora i Polskiego Instytutu Sztuki Filmowej. (former Andrzej Wajda Master School of Film Directing) Warsaw, Poland. Supported with the honorary patronage of the European Film Academy, the School started its activity in November 2001 and became the platform for film discussion, the exchange of ideas and meetings of young filmmakers. The School founders are Andrzej Wajda, Wojciech Marczewski and The Warsaw Film Studio. Wajda School is the only postgraduate training center for film professionals in Poland and runs fiction and documentary courses based on project development at a Master Class level. Wajda Studio produces short and feature films. The programme consists of two sub-programmes; the Culture sub-programme to promote the culture sector, and the MEDIA sub-programme to support the audiovisual sector. Results are published on the Creative Europe Dissemination Platform). This Foundation for professional training in cinema and audiovisual media promotes the development of creative, technical and entrepreneurial skills among professionals in the areas of film, audiovisual arts and new media. FOCAL is a well renowned institution with a long established tradition of organizing European and world film training programmes. The Austrian Film Institute is a federal institution established to provide funding for Austrian films with regard to cultural and economic aspects. The provided funding aims particularly at strengthening the Austrian film industry and the creative-artistic quality of Austrian film which is a prerequisite for its success in Austria and abroad. It is a legal entity under public law and its registered office is located in Vienna. The financial year of the Film Institute is the calendar year. The Croatian Audiovisual Centre is the Government-backed strategic agency for the audiovisual sector in Croatia. Its remit ranges from supporting development, production, distribution, exhibition, marketing and promotion, to professional training and supporting national film archive through the system of public subsidies. The Centre also promotes Croatian films and co-productions at all major festivals and markets and administers Croatian cash rebate scheme for film and TV production, aimed at encouraging inward investment. 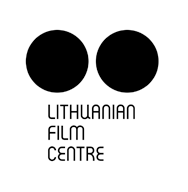 The Lithuanian Film Centre, established in May, 2012, is a state institution under the Ministry of Culture of the Republic of Lithuania. The Centre operates under the Film Law (amended in 2011). The aim of the Centre is to participate in designing an effective film and audiovisual sector policy and to foster the sustainability of the Lithuanian film industry. PISF is the newest film institute in Europe, established in 2005 in accordance with the new cinematography law, passed by Polish Parliament. It is set up similarly to the mechanisms of film industry support existing in many countries of Europe. The Institute’s principal task is to provide the Polish film industry with the modern mechanism of support – from the development of projects, production, promotion, distribution and circulation of Polish and European films. We support films from concept to screen, with particular emphasis on international co-productions. The Foundation was established in 2004 as non-profit organization sponsored by Agora SA and Agory-Holding. AGORA Foundation co-organizes and co-finances many social actions initiated by the biggest daily polish newspaper „Gazeta Wyborcza” and other NGOs. Foundation focuses both on support for disabled and ill children as well cultural actions: finances „Zeszyty Literackie” literary magazine, and supports Foundation of Literary Price „Nike” .